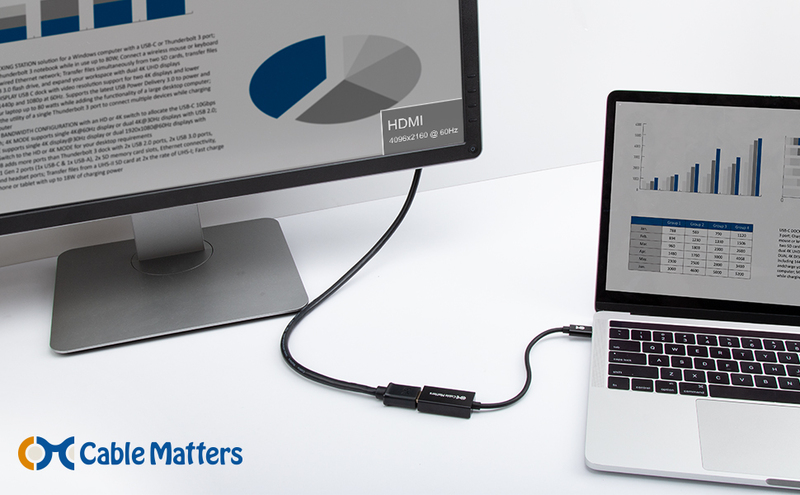 The Cable Matters USB-C to 4K HDMI Adapter connects a thin laptop with a USB-C or Thunderbolt 3 port to a monitor with HDMI. 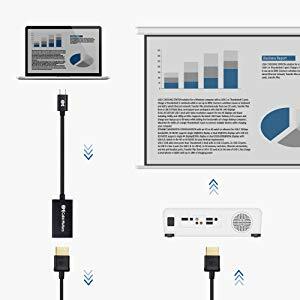 View video on a 4K monitor for an extended workspace, stream video to a UHD TV or connect to a projector for a presentation. 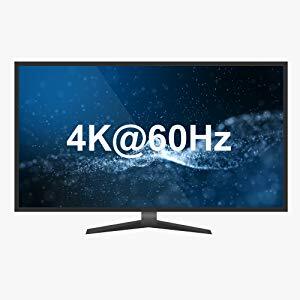 Supports video resolutions up to 4096x2160 @ 60Hz with backwards compatibility to HD 1080. 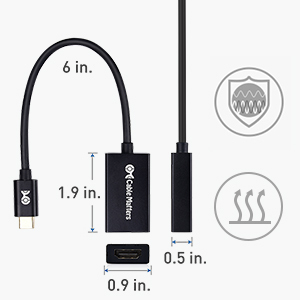 USB C TO HDMI ADAPTER connects a computer or smartphone with a USB Type-C or Thunderbolt 3 port to a 4K UHD TV, monitor, or projector with HDMI input; DisplayPort Alternate Mode support is required to view video over USB-C. 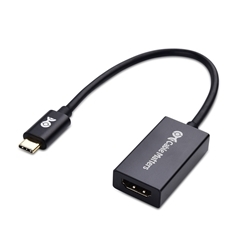 RUGGED METAL HOUSING on this lightweight USB Type C to HDMI adapter protects the adapter for frequent use and traveling; Superior construction combines a sturdy metal housing, strain relief on the cable tail and gold-plated connectors. 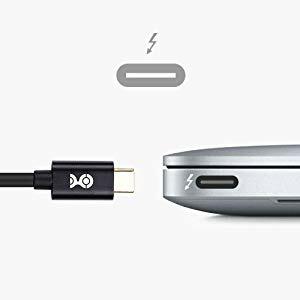 Compatible with new MacBook, Macbook Air, MacBook Pro, iMac, iMac Pro, iPad Pro with Thunderbolt 3 port. HP Elite X2 1012 G1/G2, Z1 Workstation G3, Spectre 13.3/x360, EliteBook 1040 G4/X360 G2/X 360 1020 G2/Folio G1, ZBook 17 /15 /Studio, Envy 27 All-in-One, Lenovo Legion Y720, IdeaPad Y900, Miix 720, Thinkpad P 50/70, T 470/470S/570, X270, X1 Carbon, X1 Yoga, Yoga 370/900/910, MSI Phantom Pro, Ghost Pro, Stealth Pro, Titan Pro, Dominator Pro, Samsung Galaxy S10/S10+/S10e, Galaxy S9/S9+, Galaxy S8/S8+, Galaxy Note 9/Note 8. DeX mode for Samsung phones requires the latest Android 9 Pie (One UI).